Corporate-sponsored charity walks do a disservice to many women. 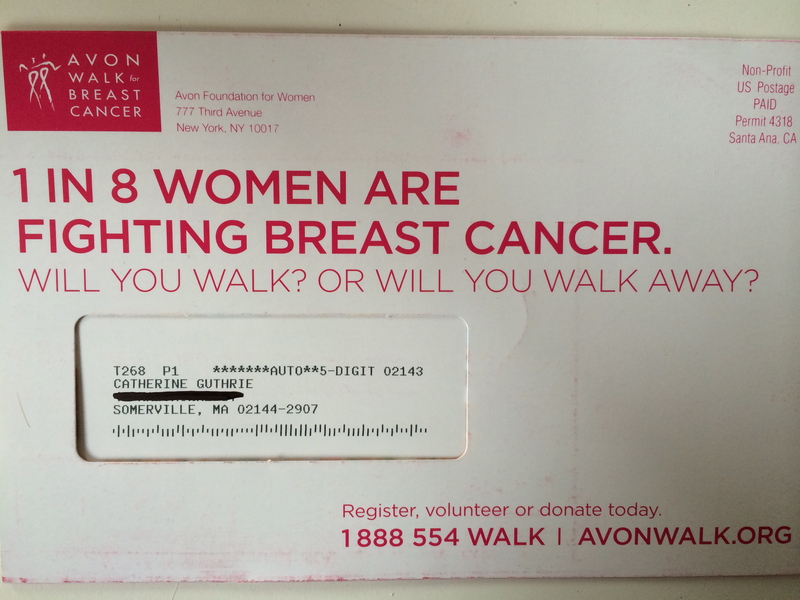 Look what just arrived in my mailbox…a pinkalicious mailer from Avon guilting women into walking on my behalf. “Will you walk? Or will you walk away?” Brilliant way to push our collective guilt/shame button. Thanks Avon! 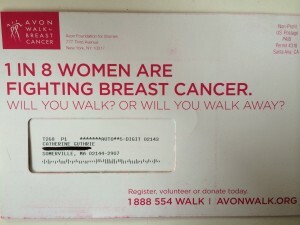 Shame on you Avon for using this misleading statistic to scare women into contributing to your cause.